•	Imagine every person in the UK flying to the US and back – twice. •	Smart grids are possible because of the Internet, and we all know they save energy. 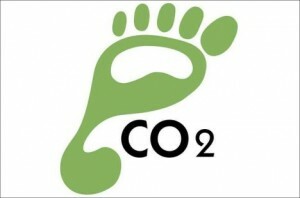 •	Tools such as video conferencing software help cut back on flights (read: higher carbon footprint). Might we now have to ration our use of the internet to ensure its very survival? If so, what would be considering a fair share of the internet? Thirty minutes of browsing a day per person? Fifty megs of download a day? Just as we are being asked to “do our bit” for the environment by flying less, using public transport more, eating less meat and the like, might we now be asked to download fewer bulging multimedia files? Call me biased and totally subjective, but just how accurate are these figures anyway? Isn’t it possible that the situation isn’t that bad? But yes, this post is making me think twice. I still can’t see past the fact that increasing our collective commitment to renewable, non-CO2-producing energy will cut the carbon footprint of every single person. In the case of the internet though, as usage increases at a fast pace, so the increase in deployed renewable energy sources needs to outstrip the growth of users. A very hard thing to achieve.